Where in Oslo is a community based city guide that aims to connect the inhabitants of Oslo and mainly expats with each other. Everyone wonders at some point where to find a product, a service, a nice restaurant, a great café or even products from their home country that they miss the most! – Small businesses that have something special to offer to the community members can easily add place or events and offer a great discount posted on their listing. 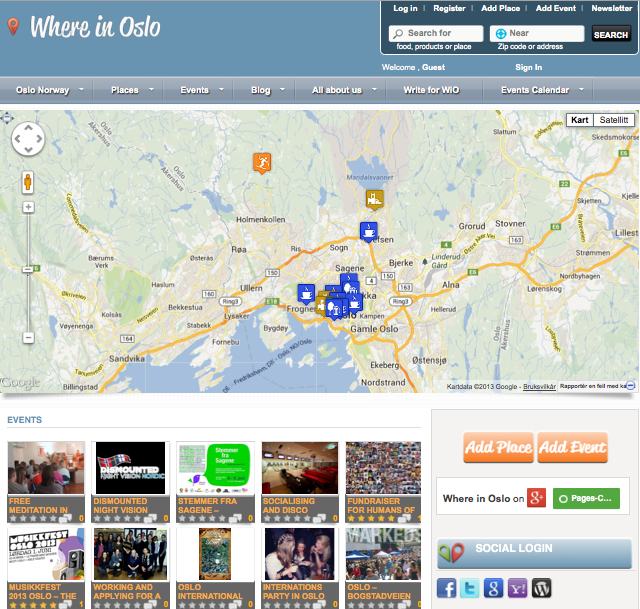 Businesses can choose to add their listing for FREE or donate 365kr to the community! The money will then be collected and used for arranging free events in Oslo. A lot of international people are moving to Oslo, so it feels natural to use the English language for this project.